son of Mr, Robert & Molley Young. he died at sea Oct, 22d, 1800. Frigate Boston & the French Berceau. 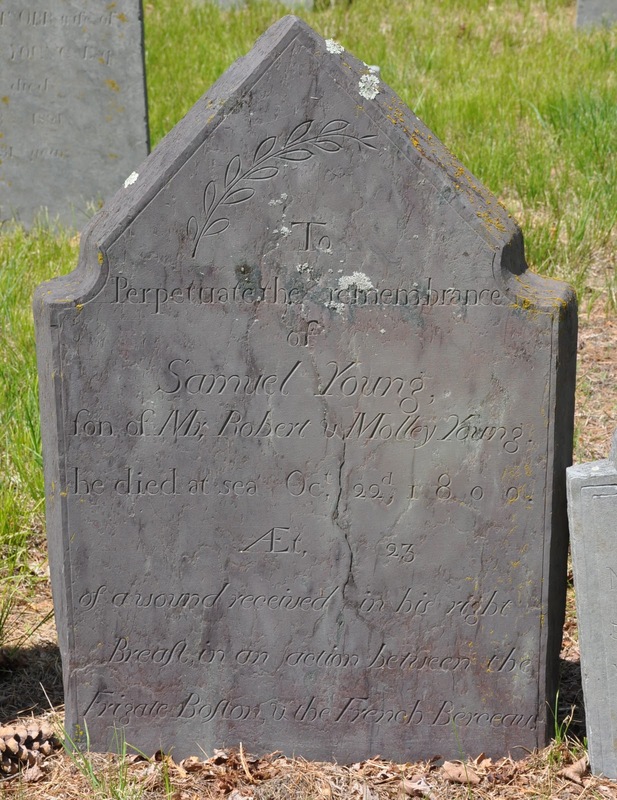 Samuel Young was one of seven Americans killed when the USS Boston captured the French corvette Berceau in 1800. I do not know whether he is buried under his monument in East Bridgewater.